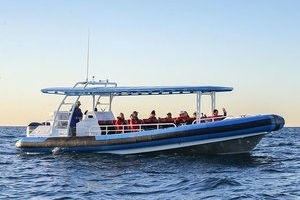 Introducing CoastXP, a premier Hunter Coast adventure boat experience! Nova Cruises Pty Ltd, is a locally owned and operated business. Our vessels "Bay Connections 1" and "The Princess" operate from Newcastle Harbour offering a wide range of scheduled cruises including; Newcastle Whale Watching Cruises, Newcastle Harbour Cruises, Lunch Cruises, Hunter River Discovery Cruises, Dinner Cruises and voyages to the Historic inland shipping port of Morpeth, all departing from Lee Wharf pontoon Newcastle. Irukandji Shark & Ray Encounters is a unique interactive aquarium that allows visitors to experience ocean life in a new and exciting way at an affordable price. Irukandji's ultimate purpose is to connect visitors to our natural world by introducing them first hand. Education on conservation plays a major roll at the attraction with visitors passion and empathy to the fish family helping to promote a healthy ocean for their wild cousins.